Corky was still in high school when he began noticing the absence of Chinese Americans in the media and newspapers around him – even the historic photograph of the completion of the transcontinental railroad, built by Chinese labor, didn’t have any Chinese workers in it. 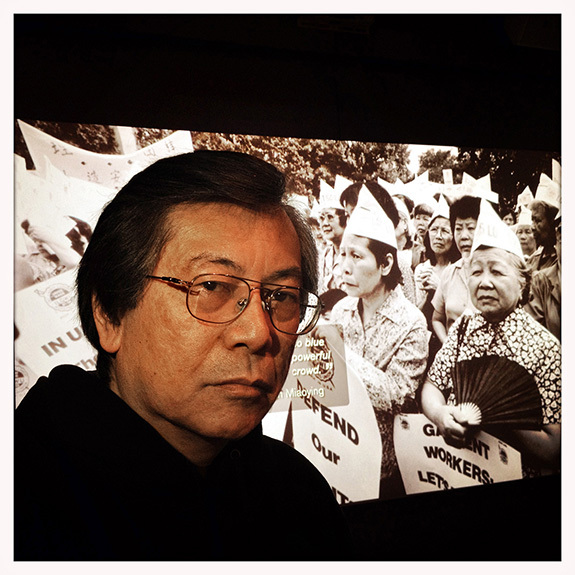 He has been committed to making his community visible ever since, photographing not only Chinatown but Asian America for more than four decades. The 68 y.o. Queens native has been the country’s self-appointed, undisputed, Unofficial Asian American Photographer Laureate for so long that even the post office agrees: a letter addressed to just this title in “Elmhurst, Queens” actually found its way to the photographer.